Systec’s Pallet Sweep Device is an efficient way to remove corrugated loads off of pallets and infeed a machine. After the palleted load enters a zone, the pusher head is engaged and pushed the load off of the pallet and onto the corresponding conveyor line. The load is then sent on for an additional processing. After the head returns to the home position, the empty pallet is moved up the initial conveyor line to be cleared. 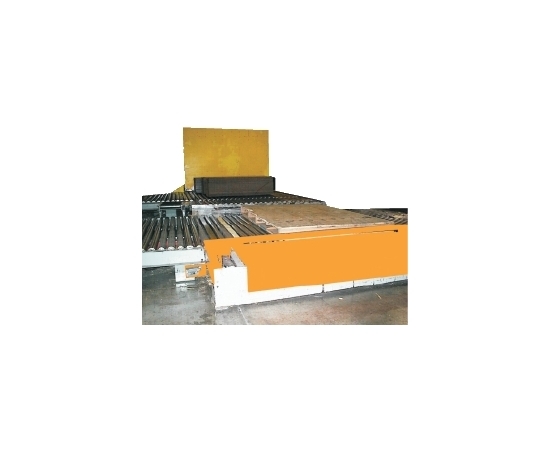 Personalized for directional layout, pallet retrival methods, operational controls, cycle times and multiple pallet sizes and types. Drive assembly is equipped with a common shaft and dual drive chains.